Workers who feel comfortable that their machinery is safe will be more productive and contribute more to the business. With fewer injuries your business is able to meet quotas and continue to be profitable. And machine guards can help you in all of these areas. Machine guarding should be routinely inspected to make sure all devices have the proper protection in place. Also plant workers should be fully trained on the importance of machine guarding and the proper use of guards. Anytime new equipment is purchased, be sure to add to your installation checklist to inspect the machine guards and confirm they will adequately protect. If any machine guard breaks, cracks, or is damaged in any way there should be a priority action to address the issue. Often it is best to completely replace the guard versus a repair because the structural integrity of the guard could be compromised. 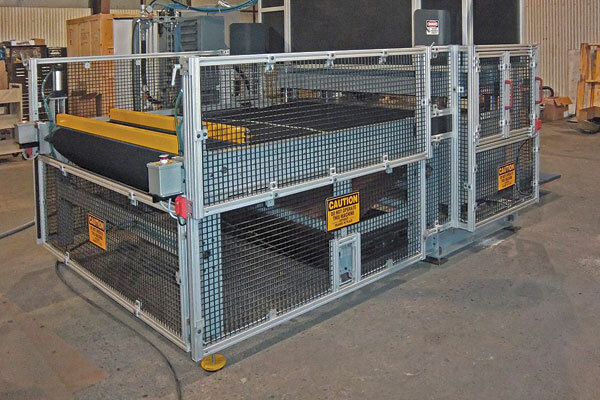 Your business can become safer and more efficient through the proper use of machine guarding solutions. Let us help make your business a safer environment for your employees with 80/20 aluminum extrusion.